Therefore I know Toller Cranston. Toller is one of the many famous people in San Miguel. I would go so further to say one of the most famous. If you come back from San Miguel with no Toller Cranston story you might as well not have gone. Seems that everyone in San Miguel has met Toller Cranston except me. I have been told that I should knock on his door and say I am a Canadian because he likes Canadians. But I am only one degree of separation from Toller Cranston. Some day I will be no degrees and I can then say I know Toller Cranston. Until then, I will walk past his house near Parque Juarez and pretend I know Toller Cranston. Can the Magic Leave San Miguel? There is Magic in San Miguel but sometimes it goes away. Real estate prices didn’t quite live up to expectation. The maid can’t iron my linen blouse properly. I haven’t had a date in two years. My art classes didn’t work out well. I bought more silver jewelry than I can afford. I have no new tablecloths left to wear and I don’t do rugs. Yes Martha has given up. 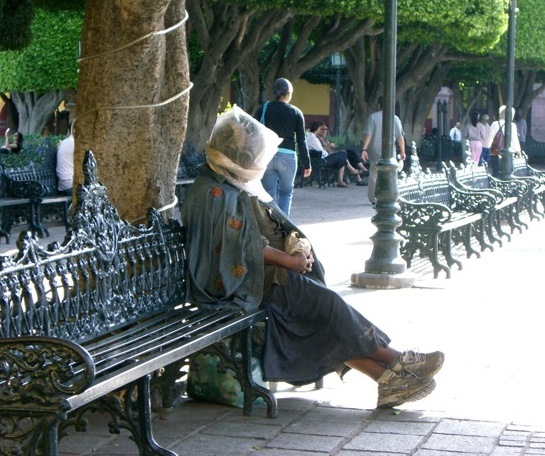 She has decided to end it all by tying a plastic bag around her head. Or she got tired of sitting the beauty parlour while the hair color was setting and went to sit in the Jardin for a spell. Maybe the Magic isn’t gone after all. I left San Miguel March 12. 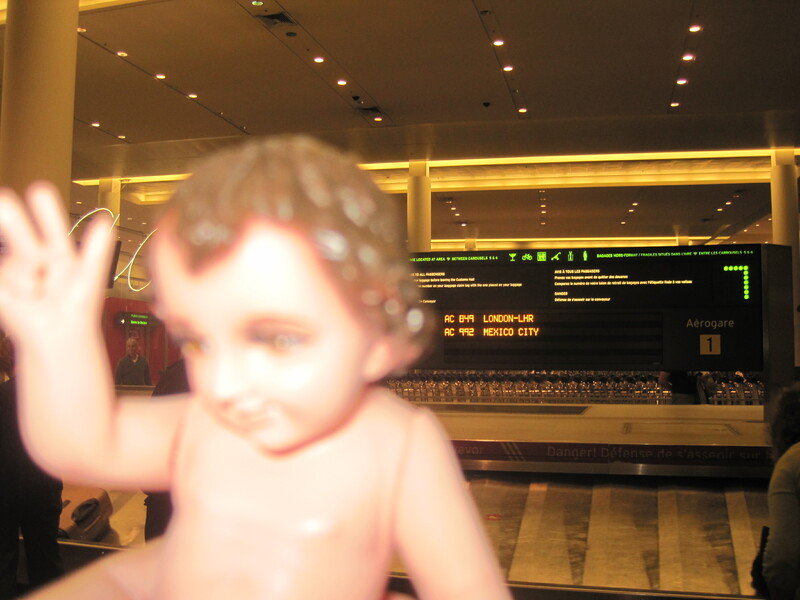 I took Baby Jesus out of Mexico and home to Canada. 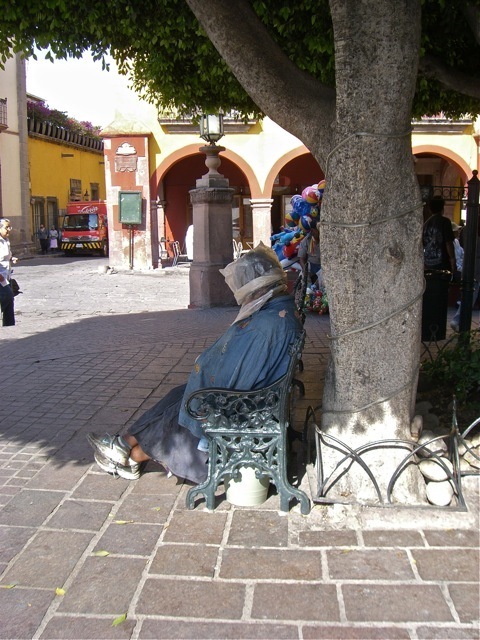 I still have a few posts from my time in San Miguel that I will post over the next few days. The Baby goes to California Sunday.